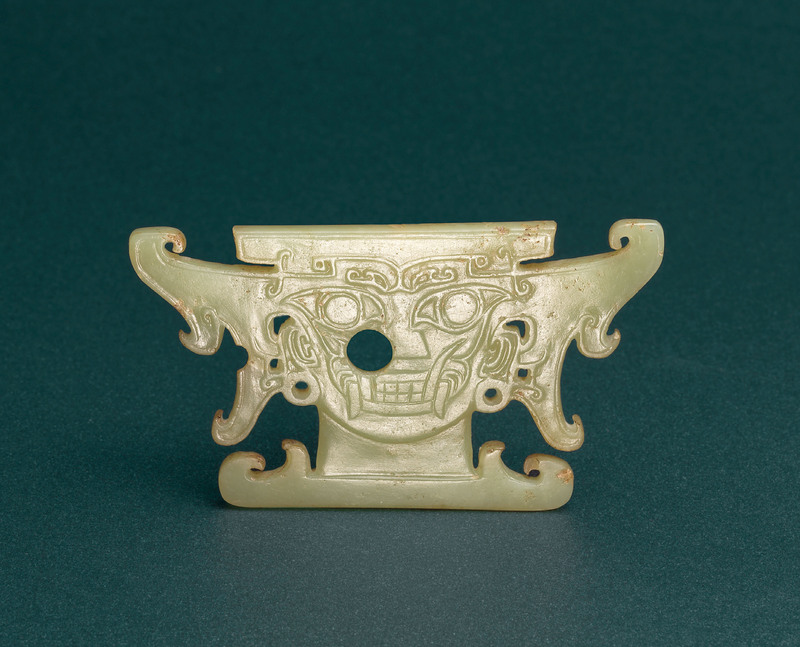 The pendant is carved in the shape of a coiled dragon with fangs, circular eyes, a long tail, and detailed with stylised scrolls on the body. 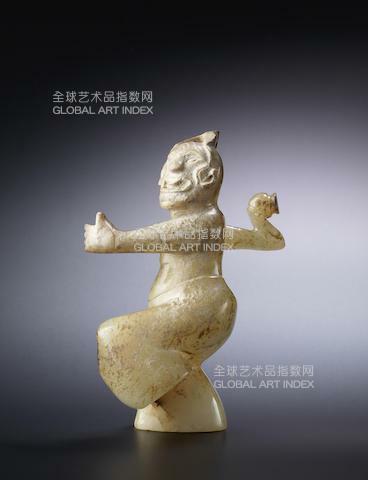 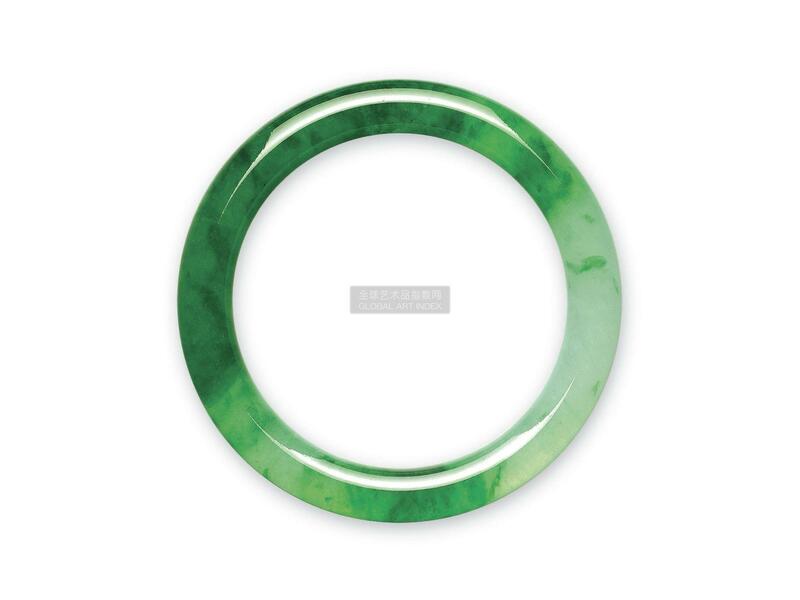 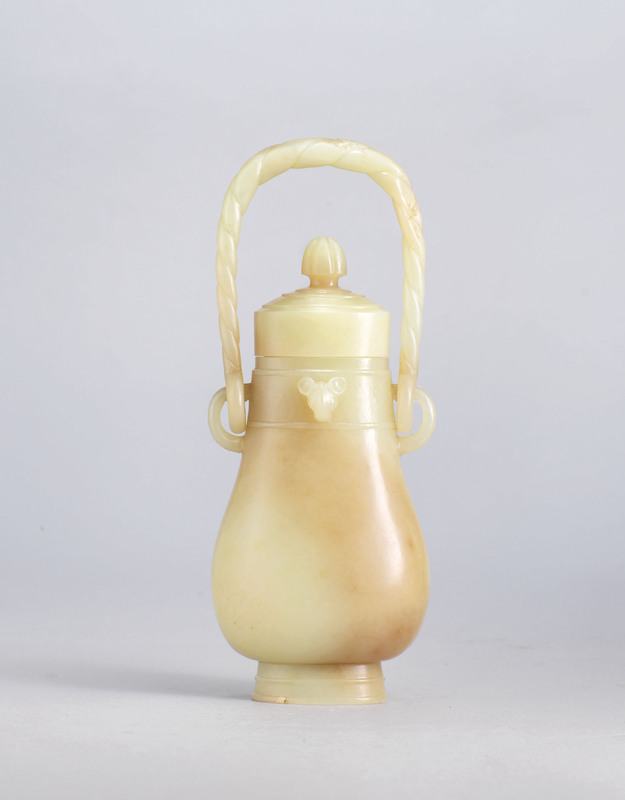 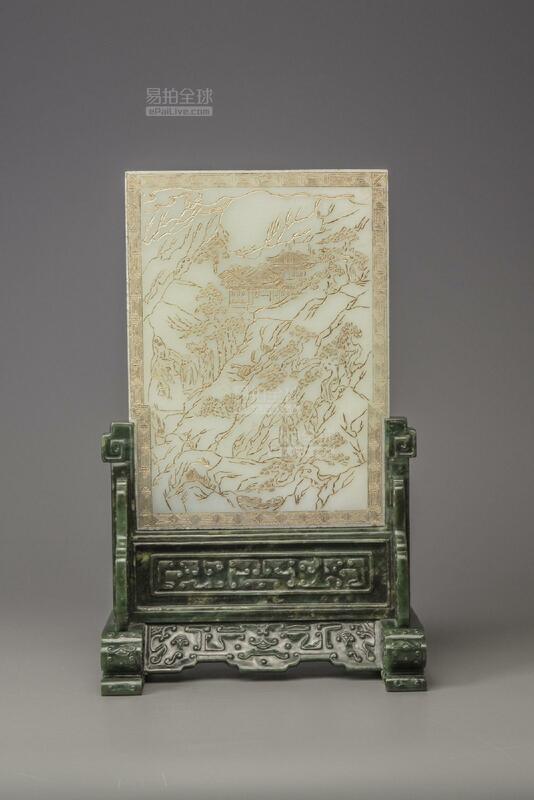 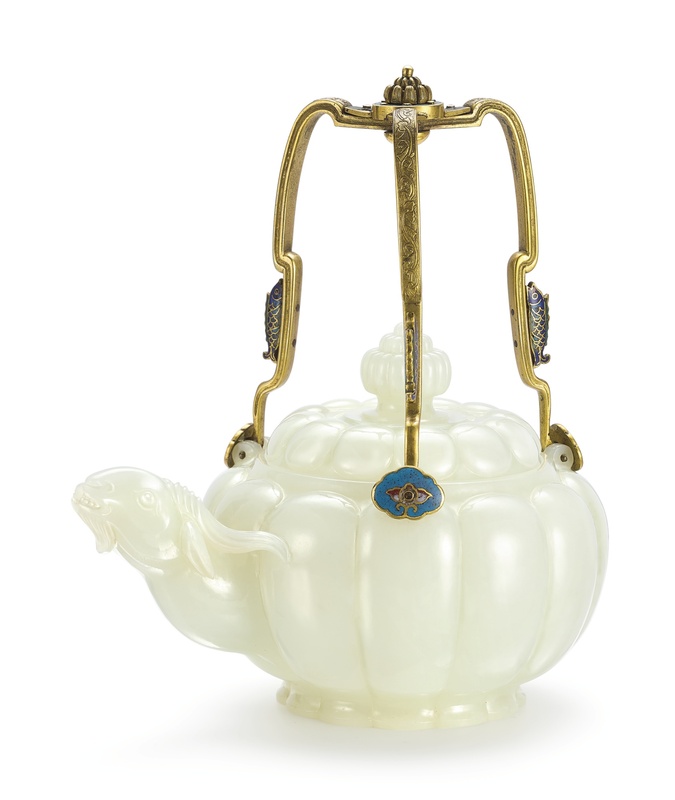 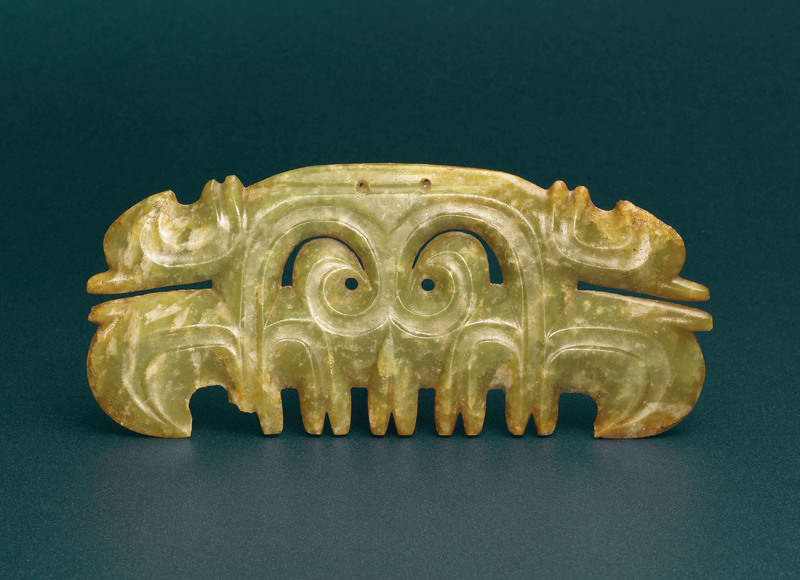 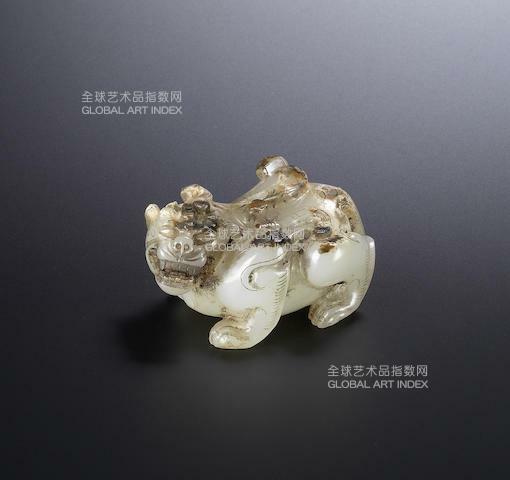 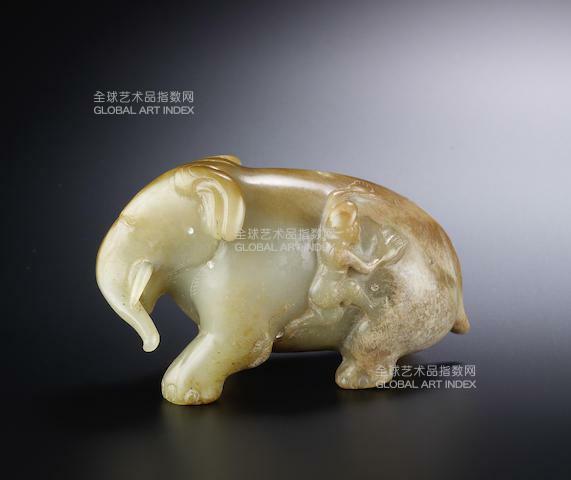 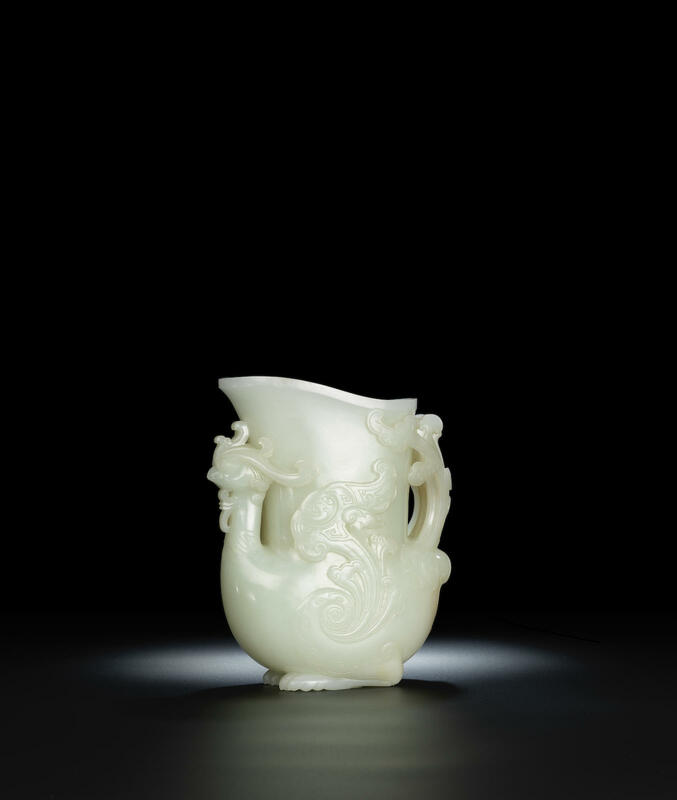 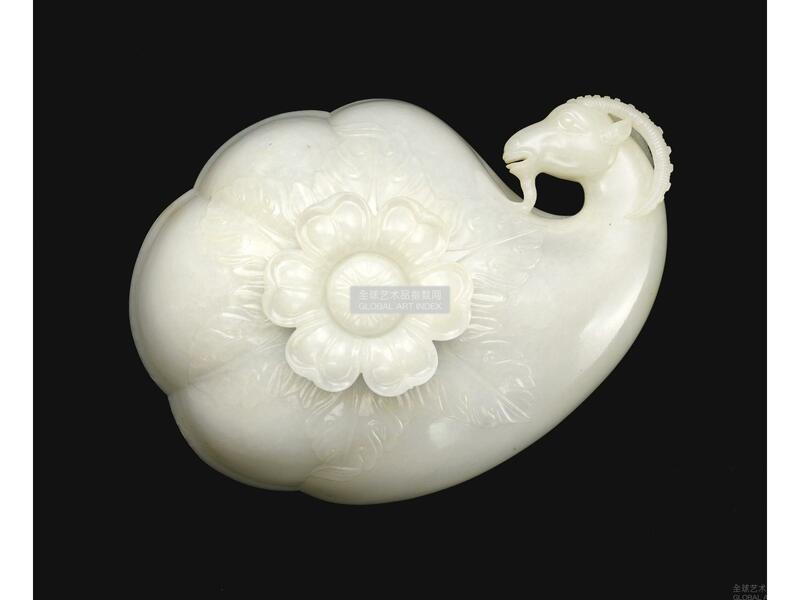 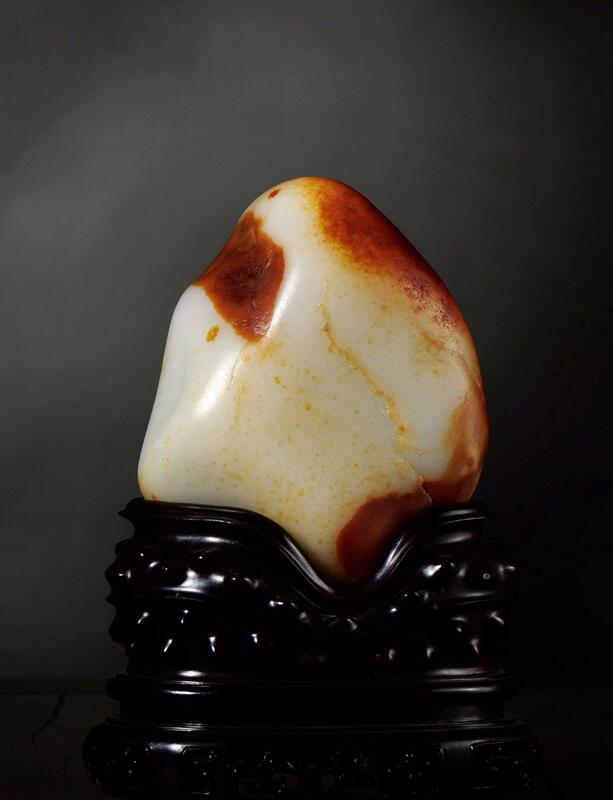 It is extremely rare to find a jade jue of this thickness and with such crisp and lively carving. 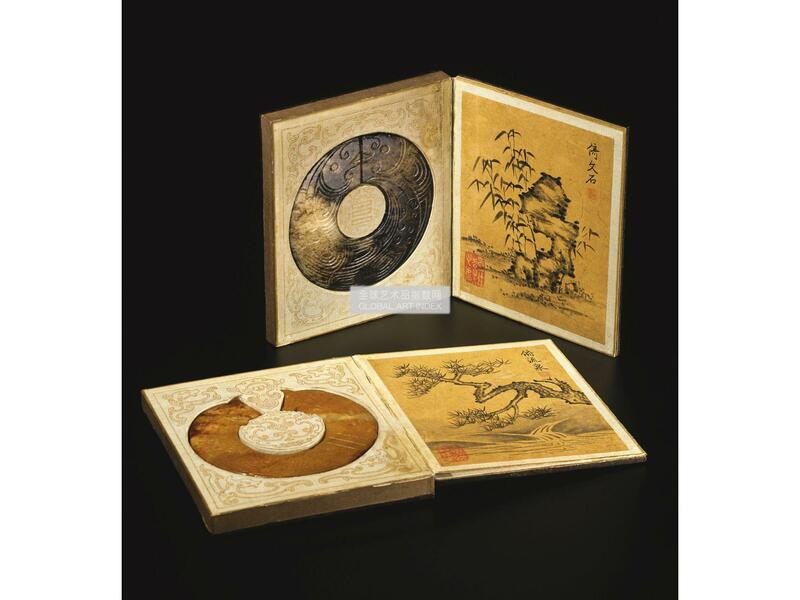 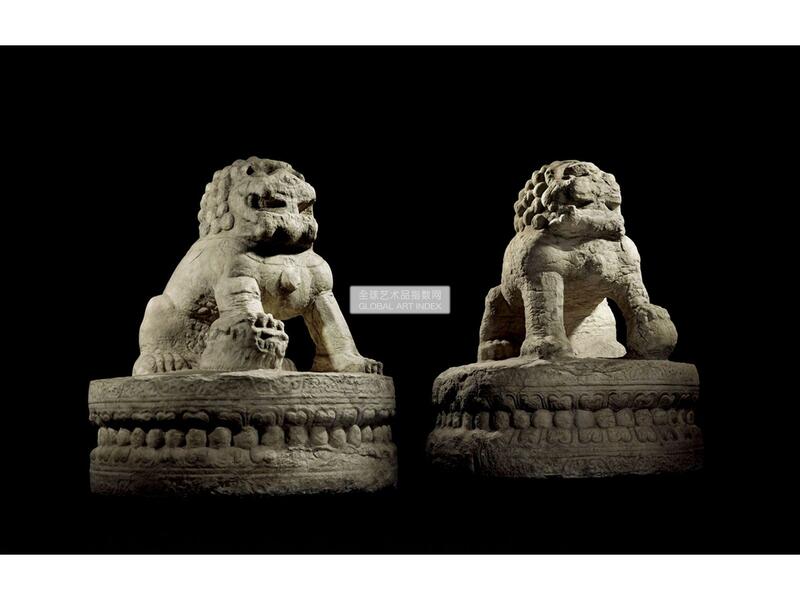 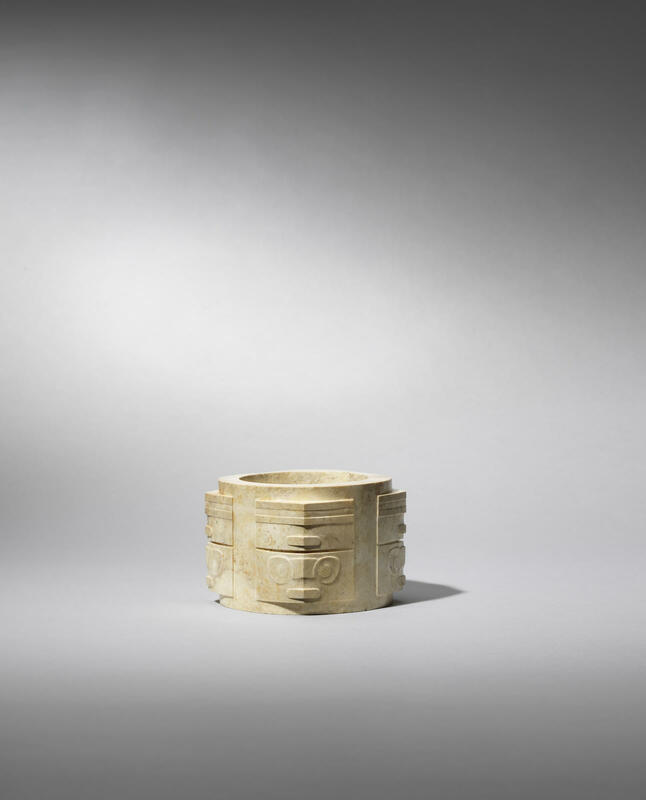 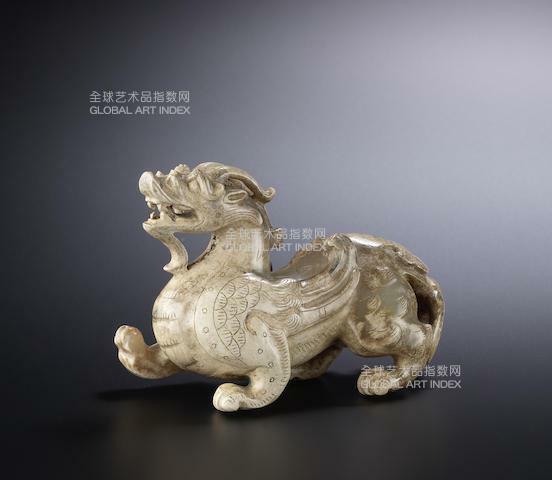 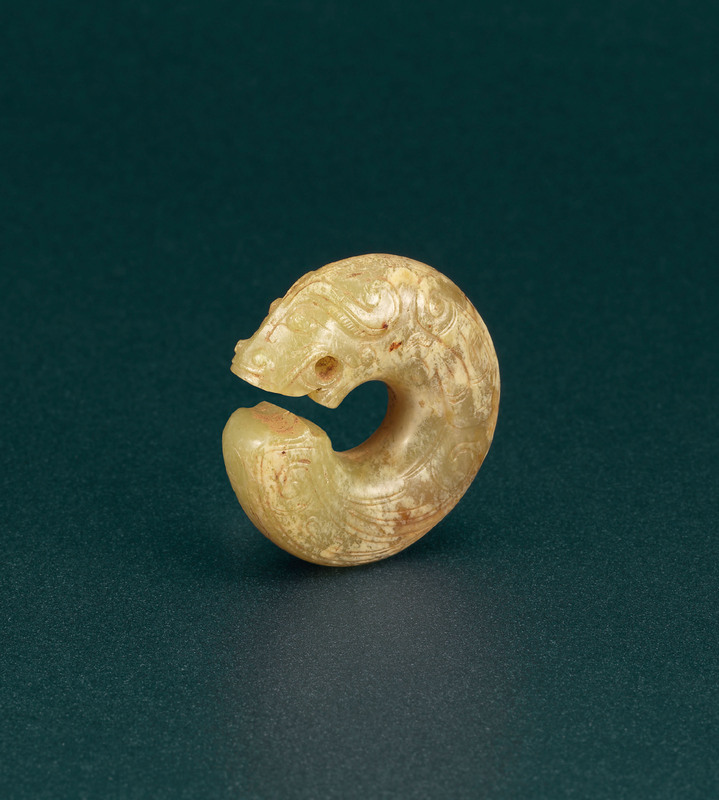 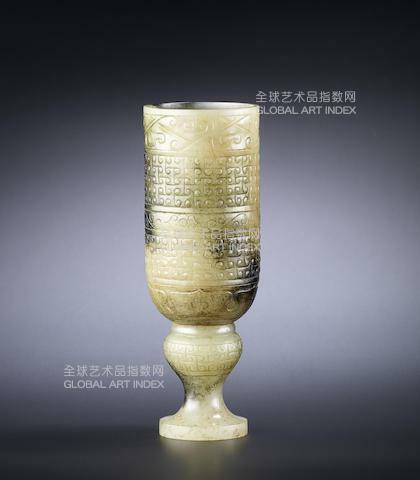 A closely related example was excavated in a tomb belonging to a nobleman in Guo State, one of the smaller states founded at the beginning of the Western Zhou dynasty, currently exhibited at the Guo State Museum in Sanmenxia, Henan province.